The core cast of The Alienist will return for a sequel series entitled The Angel Of Darkness. Daniel Bruhl, Luke Evans, and Dakota Fanning will all reprise their roles for TNT’s follow-up series, which will presumably air on Netflix here in the UK. 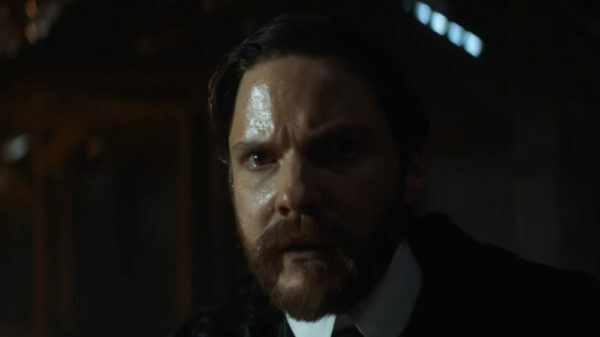 The series’ return and its new title won’t come as a huge surprise to fans who’ve read up on the show’s history: after all, The Alienist was based on a novel of the same name by Caleb Carr, and The Angel Of Darkness is the title of his sequel book. June 1897. A year has passed since Dr. Laszlo Kreizler, a pioneer in forensic psychiatry, tracked down the brutal serial killer John Beecham with the help of a team of trusted companions and a revolutionary application of the principles of his discipline. Kreizler and his friends—high-living crime reporter John Schuyler Moore; indomitable, derringer-toting Sara Howard; the brilliant (and bickering) detective brothers Marcus and Lucius Isaacson; powerful and compassionate Cyrus Montrose; and Stevie Taggert, the boy Kreizler saved from a life of street crime—have returned to their former pursuits and tried to forget the horror of the Beecham case. But when the distraught wife of a Spanish diplomat begs Sara’s aid, the team reunites to help find her kidnapped infant daughter. It is a case fraught with danger, since Spain and the United States are on the verge of war. Their investigation leads the team to a shocking suspect: a woman who appears to the world to be a heroic nurse and a loving mother, but who may in reality be a ruthless murderer of children. Once again, Caleb Carr proves his brilliant ability to re-create the past, both high life and low. Fast-paced and chilling, The Angel of Darkness is a tour de force, a novel of modern evil in old New York. We don’t have a release date yet for The Angel Of Darkness, aka The Alienist season 2, but we’ll let you know when TNT announces it.